I put some more time into the DDDAC last night. After I’d invested in a proper desoldering station, it was light work getting the remaining Muse caps of my boards. · C1-C4/C7-C10 with a 200uf 20V Silmic II each side with a little filtering cap (Wima, 0.68uf 63v) across them. · C5/C11 with a 100uf 25V Silmic II each side with a little filtering cap across them. · Lastly 22nF 63V Polysterine caps for HF filtering at the output. I don’t want to sound like every change I make is “the best thing since sliced bread”. But the way it stands now, the soundstage and separation has improved in a big way, everything has become cleaner and more accurate. Tonality has improved, highs have cleaned up, I can hear “around” things like cymbals..
Last edited by stijn001; 17th August 2014 at 07:22 AM. I wonder if an OSCON would work well here? Thanks, nice that your recent measurements confirmed your initial impressions. The fact that you designed the boards to allow for these endless combination is what is making it such a great DIY DAC. Would you please let me know where I could get those Oscon? Chanh, I got all of them from Mouser.com, they also have a good selection of small size Silmic's and Wima's. I wonder with this caps arrangement, in especially the Oscon at analog side, would sound like it gives extra resolutions/details at top ends but with a very thin midrange? I ask because I have been experimented many DACs before this one, where I stopped and found love with this particular DAC chip design from Doede. Hence so much efforts plus funding were investing til date. Based on my last 12months with many gtg(s) of various DACs, I found those extra details/resolutions at top ends might gave a first impression of clarity, separation, and resolution..., however, will a prolong listening period be fatigue? A realistic example is where I found the ESS Sabre 9018 has failed me. The sound from Sabre was too clinical/digital for my ears but this is entirely personal taste and system's synergy. Here not to say Sabre is negative! is someone up for trying it? Chanh, I had the same concern. But I must say I’m pleasantly surprised. The added 100uf and 200uf Silmic caps might give it more body and balance out the precision and clear high-end of the 47uf Oscon’s. Also everything depends on the rest of the system, music style/recording, personal preference. All I can say is I love what I’m hearing and I’m going to stick with them for a while. Also I’m trying to stay as objective as possible. Not to think it “should” sound like this or that due to using this or the other. But rather to let the quality of the experience decide. btw, I used to own a Sabre 9018 based dac as well. I know what you mean with it sounding digital. Last edited by stijn001; 17th August 2014 at 01:29 PM. 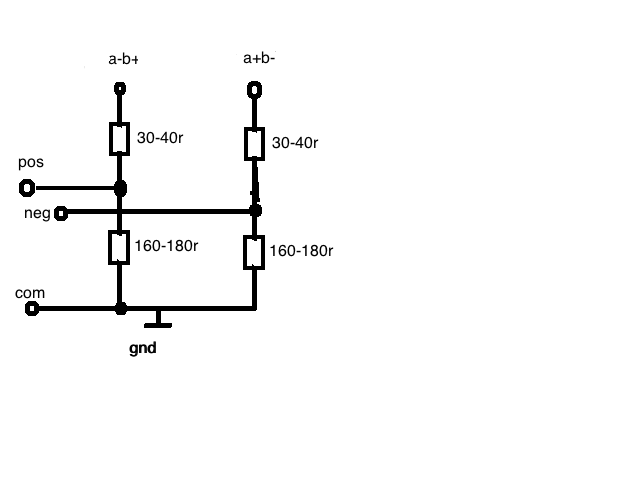 I have been altering the value of the output filter capacitors, What is the largest value allowed ? The recommended value of 5 - 10 nf per stack, can this be increased to 20 or 30nf per stack ?